As a college we have a Literacy policy that includes encouraging proof reading, and a utilising a consistent marking policy. 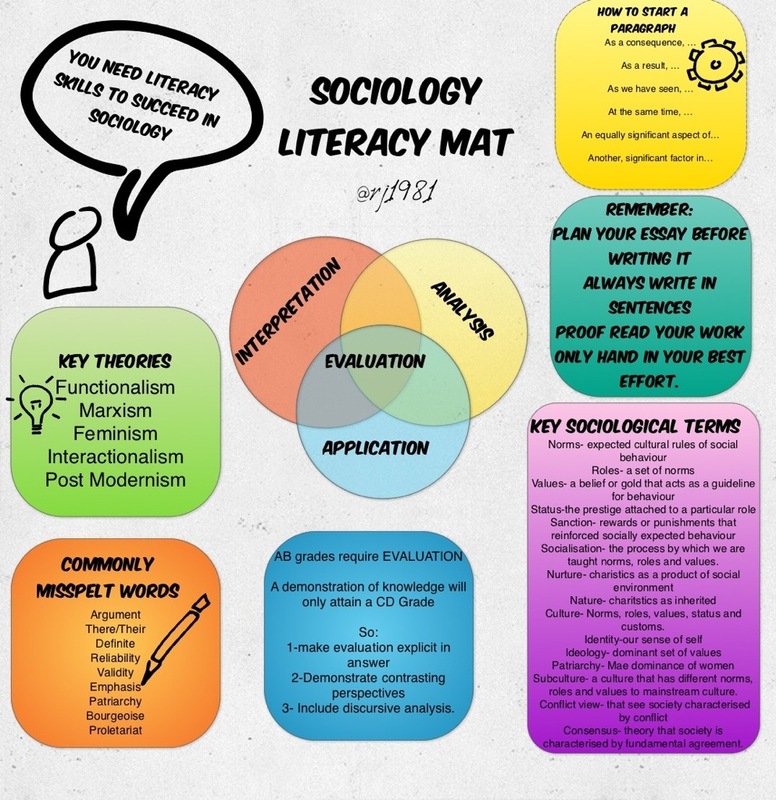 However, today I was asked to create a Sociology Literacy Mat, which students can access in lessons to help them with written work. This is the work of @myersclare who is a great advocate of increasing literacy levels in order to raise achievement across subjects by improving literacy standards. I googled literacy mats, and this is what I have come up with so far. I would really appreciate any help you can offer as this is not within my area of expertise, please do get in contact if you think there is anything I should add/ subtract. I am looking to do a literacy mat for sociology, could I have a look at the final version if you have completed to get some ideas. I have not yet started mines. That is my final version. I’m happy to email it to you if you like? Yes soon as get decent wifi! Sure – do you want to email me?